Machine is right inside front door. We are currently open 7 days a week from 10 - 4. 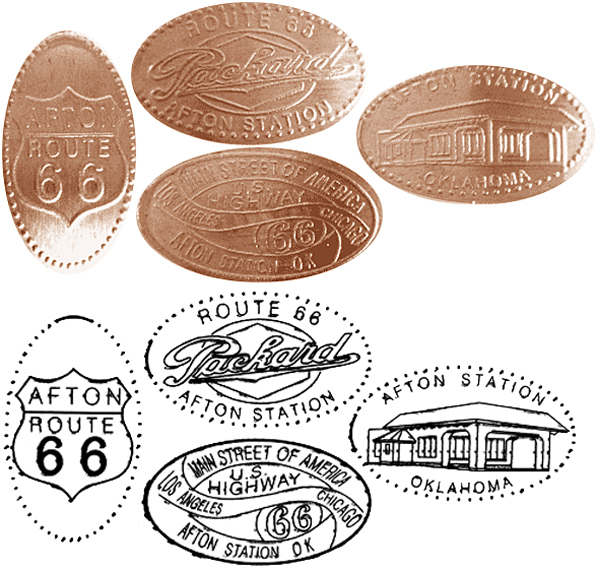 1) - Route 66 shield and "Afton, OK", because we are a Route 66 museum. 4) - Route 66 Packards, because we re also a vintage Packard museum. thegillion added Afton Station to system.